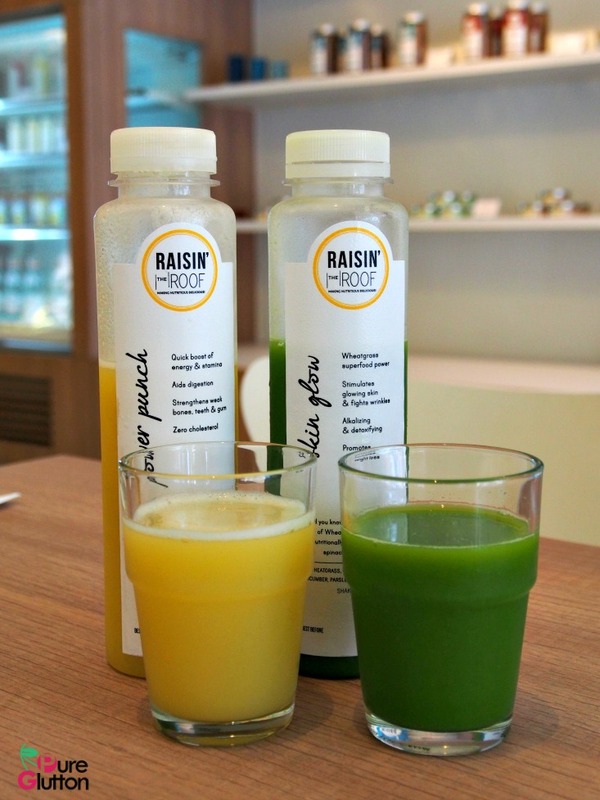 Raisin the Roof is a health and lifestyle cafe specialising in raw, vegan, vegetarian, gluten-free, dairy-free and refined sugar-free food and drinks. The owners, a husband-and-wife team believe that a healthy lifestyle is all about providing your body with the best quality fuel, which is nourishing your body with good nutrients. 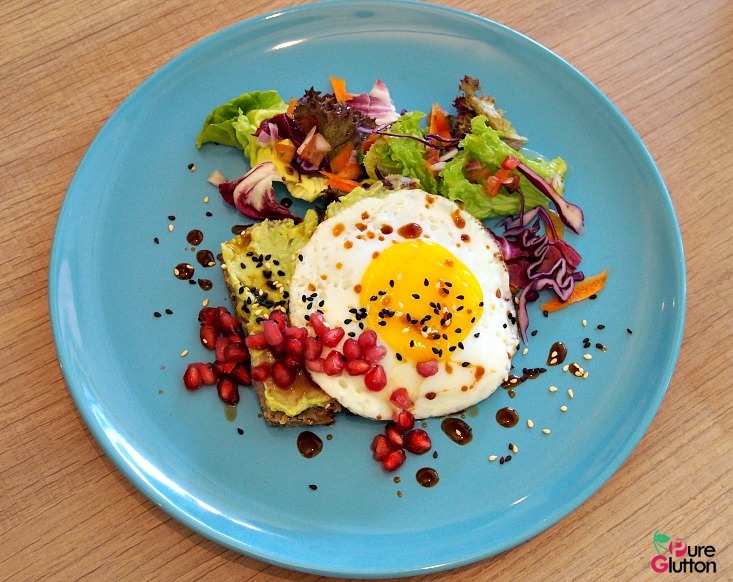 Located in Plaza Damansara, this simple casual cafe is comfortable, with a friendly crew. Their menu features a good selection of sandwiches, wraps, salads, desserts, toasts, freshly-pressed juices, smoothies, teas and coffees. 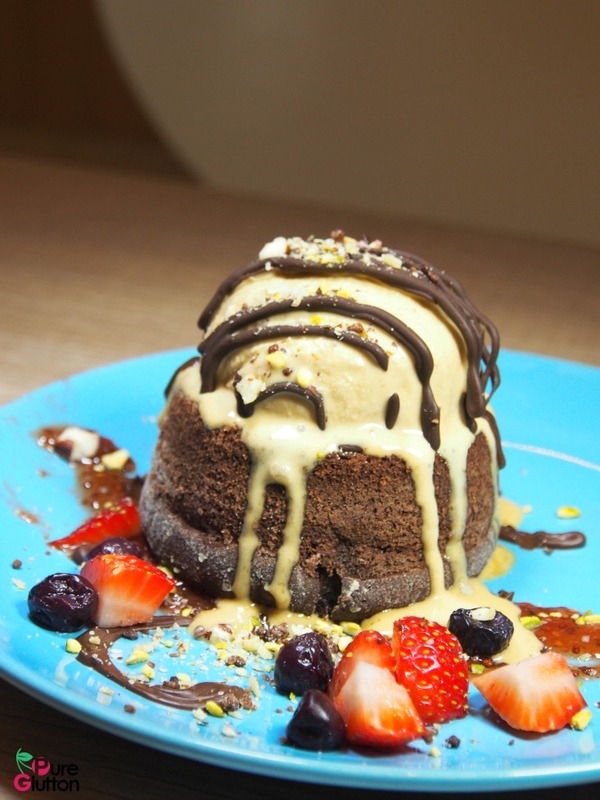 The desserts are strictly made of unprocessed ingredients and 100% natural and unrefined sweeteners such as dates, agave syrup, coconut sugar, maple syrup, molasses sugar and honey. 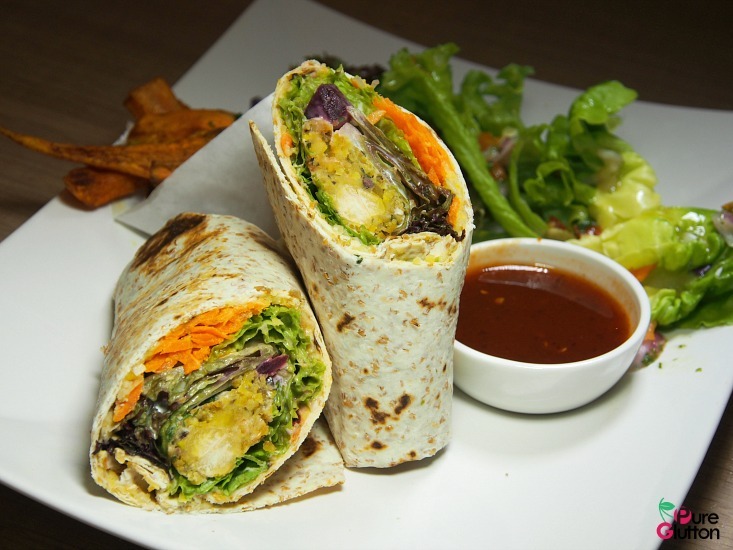 To go with the salads, wraps and sandwiches, there are house-made sauces such as hummus, chilli sauce, guacamole and their special creamy mayo-ghurt. Expect to find superfoods like chia seeds, flax seeds, quinoa, freshly baked oats and beans sprinkled over salads or tucked into toasties and sandwiches. 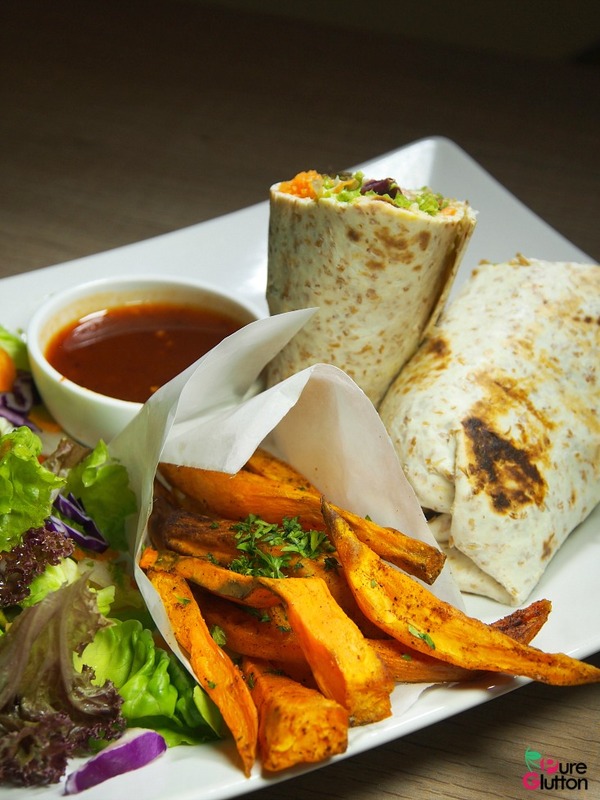 Sweet Potato Black Bean Wrap (RM22.90) – it’s good carbs and protein all bundled up in a Mexican-inspired wholemeal tortilla. Besides baked sweet potatoes and black beans, there are fresh rocket salad, mixed leaves, tomatoes, guacamole and house-made chilli sauce to give it some zing. 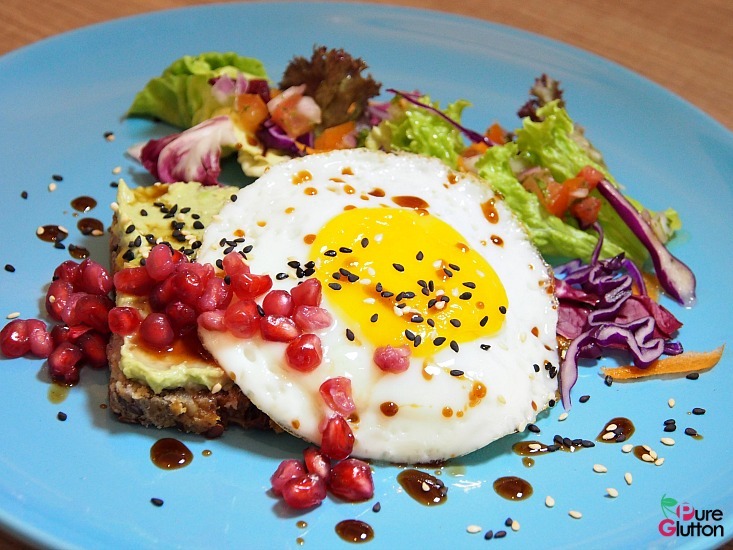 Avocado Toast (RM18.90) – the “toast” is made from nuts and seeds, spread with lemon-tahini sauce and topped with avocado slices. Pomegranate molasses adds some tangy sweetness while the pomegranate seeds not only look pretty but they give the ensemble a delightful crunch. And that sunny-side-up egg is for extra power! 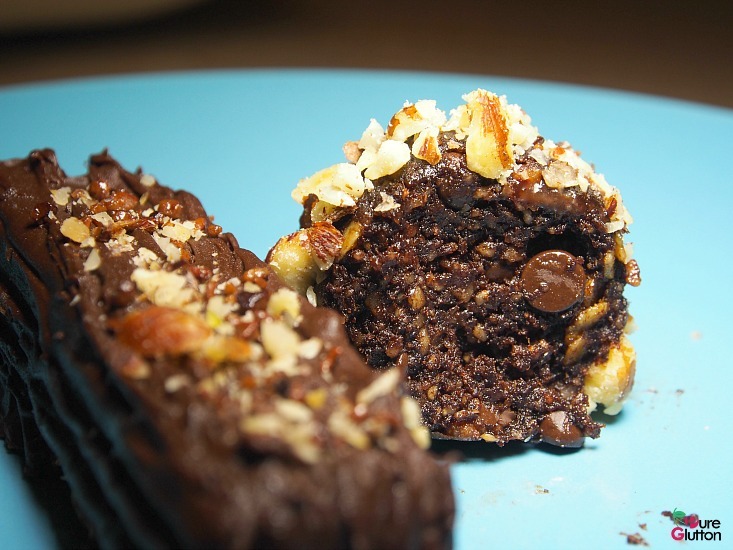 Mars Bar and Ferrero or popularly known as “Bliss Balls” – made up of dates, nuts, shredded coconut & coco! 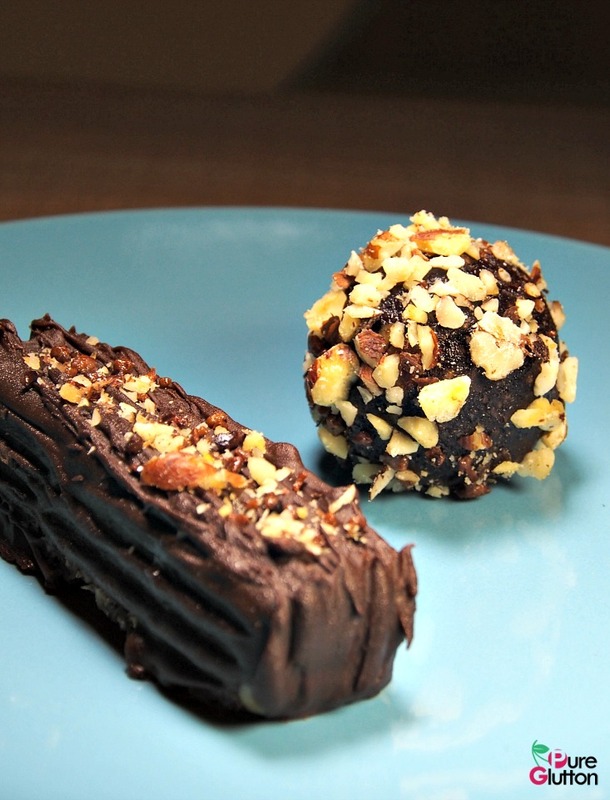 You can be sure the desserts all qualify as Indulgence without guilt! 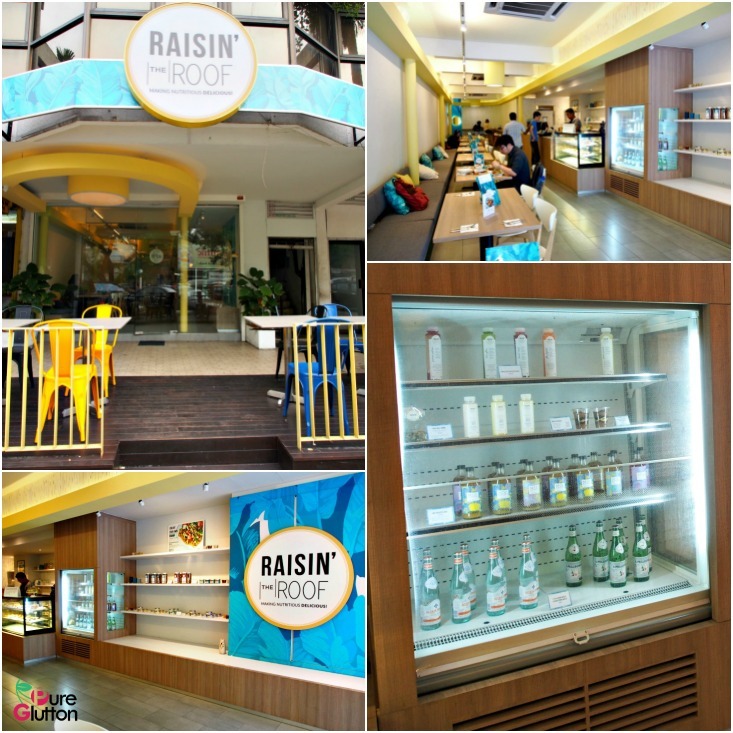 Healthy food can be fun and flavourful without compromising on good taste and premium quality, so check out Raisin The Roof soon for some worry-free eats.